Despite a weather scare, with rain falling just minutes before play was due to start, the finals of the Hong Kong Open took place as scheduled and provided a feast of quality action for the crowd on the Cultural Centre Piazza on the harbourside in Kowloon, as well as for the watching TV and streaming audiences and the IOC delegation here ‘inspecting’ the event as part of squash’s bid for 2020 Olympic inclusion. 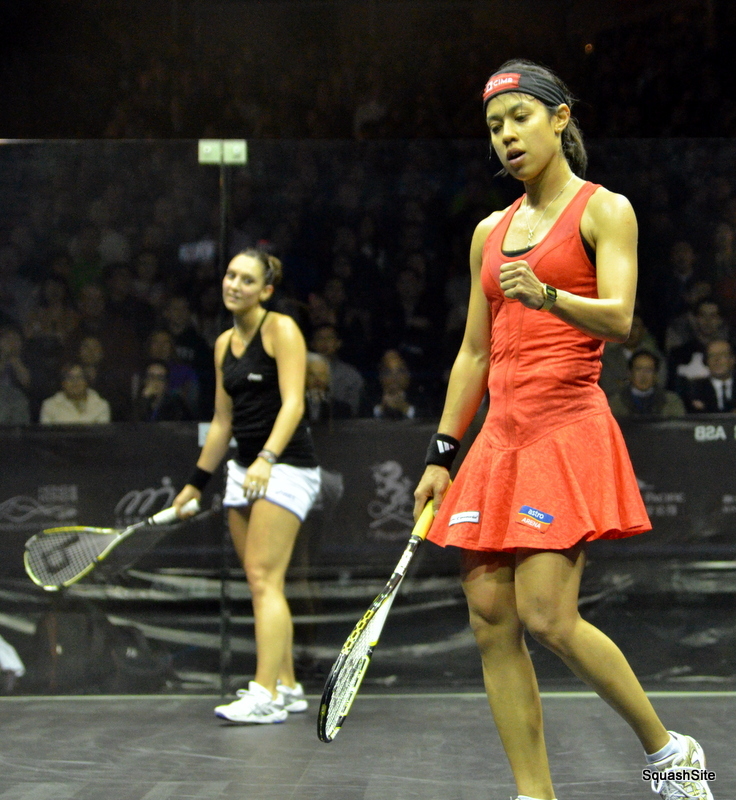 They all saw Nicol David triumph yet again, maintaining her unbeaten record here since 2005, and they saw Ramy Ashour depose James Willstrop to reclaim the men’s title. 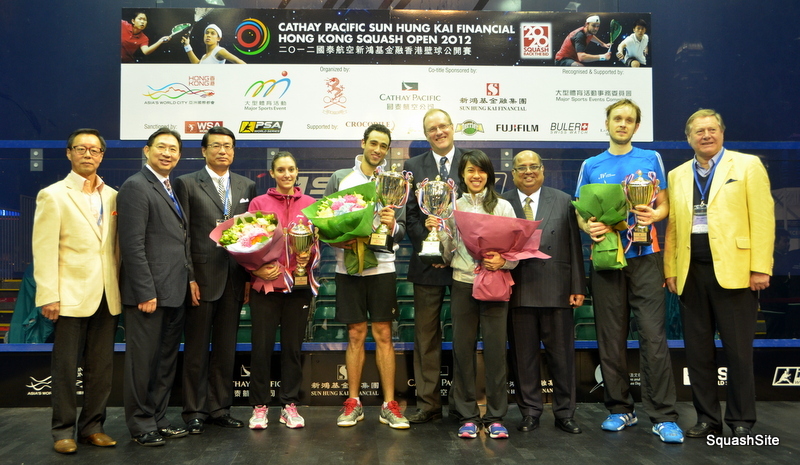 Squash ‘of the highest calibre’ brought the 2012 Cathay Pacific Sun Hung Kai Financial Hong Kong Open to a magnificent climax today when Egypt’s former champion Ramy Ashour beat England’s defending champion James Willstrop in the final of the sixth PSA World Series event of the year to regain the title he first won in 2010. After a rain-affected semi-final session which had to be played in the Hong Kong Squash Centre, the final was staged – as planned – on a spectacular all-glass open-air showcourt erected at the Cultural Centre Piazza on the Hong Kong waterfront at Tsim Sha Tsui. Founded in 1985, this year’s 27th edition of the championship took on greater significance than ever before as it was attended by delegates of the International Olympic Committee – ‘inspecting’ the event with a view to assessing the sport’s credentials to join the Olympic Games programme in 2020. Both players in the final were on top of their game. 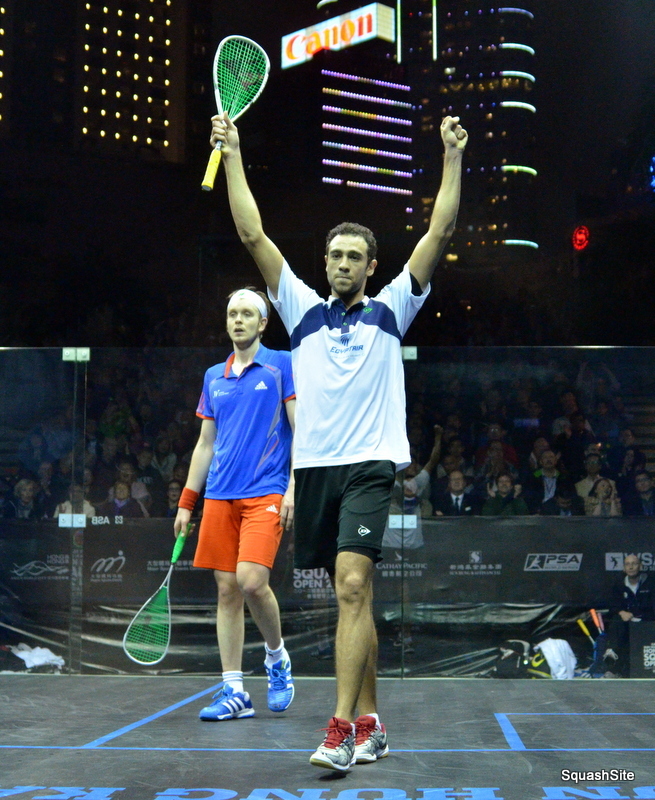 Top seed Willstrop, the 29-year-old from Leeds who has topped the world rankings for all but one month of this year, opened up an 8-7 lead in the opening game – but world No4 Ashour reeled off four points in a row to take the game. The Englishman struck back to draw level, dropping just three points as he dominated the second game. 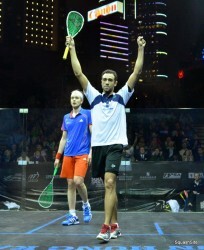 But Ashour upped his game in the third and fourth and after 64 minutes of stunning squash raised his hand in celebration of his second Hong Kong Open title by an 11-8, 3-11, 11-7, 11-6 margin. 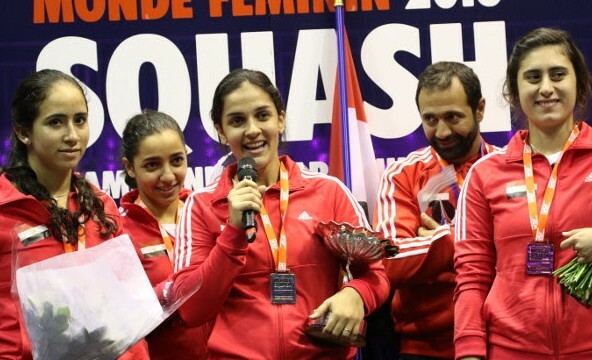 “What a match – squash of the highest calibre,” declared event MC Vanessa Atkinson, the former world number one and world champion from the Netherlands, as she welcomed back the players for post-match interviews. “It’s very disappointing – I was here to win the match and I didn’t do that,” said Willstrop. “But I wanted to give my best – and I did that. “He forced me to play loose balls and he capitalised on that brilliantly,” added the Yorkshireman after his 34th PSA World Tour final. Ashour was his usual voluble self: “It’s been a long week – and, as I’ve said before, every time it feels like five years! “But to win my second Hong Kong Open is something of which I am very proud,” added the 25-year-old from Cairo. 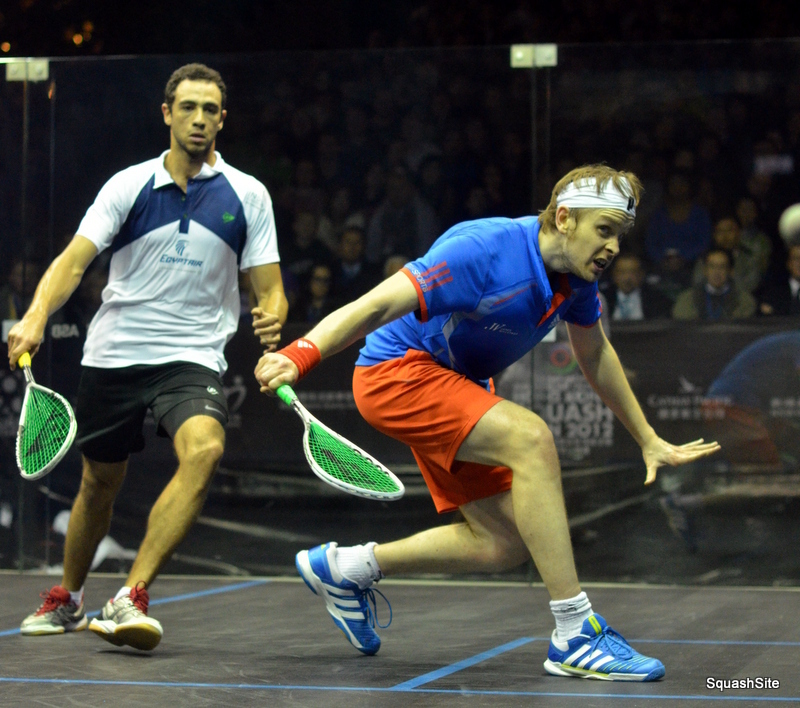 “James was very consistent – after all, he’s been world number one for a long time. “But things went my way tonight – and that made the difference. 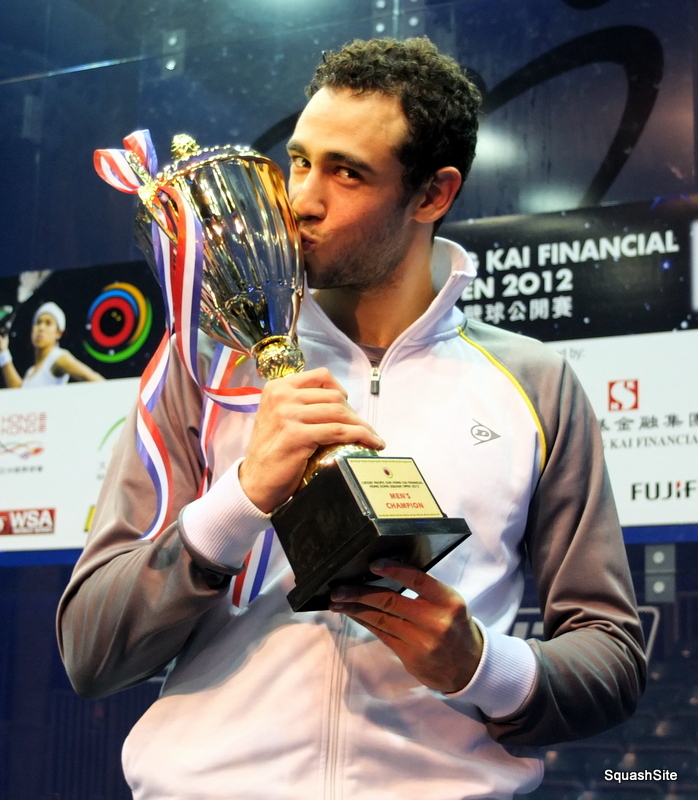 “Hopefully can get back to world number one – I will do my best,” added Ashour, who now has 26 PSA Tour titles to his credit. 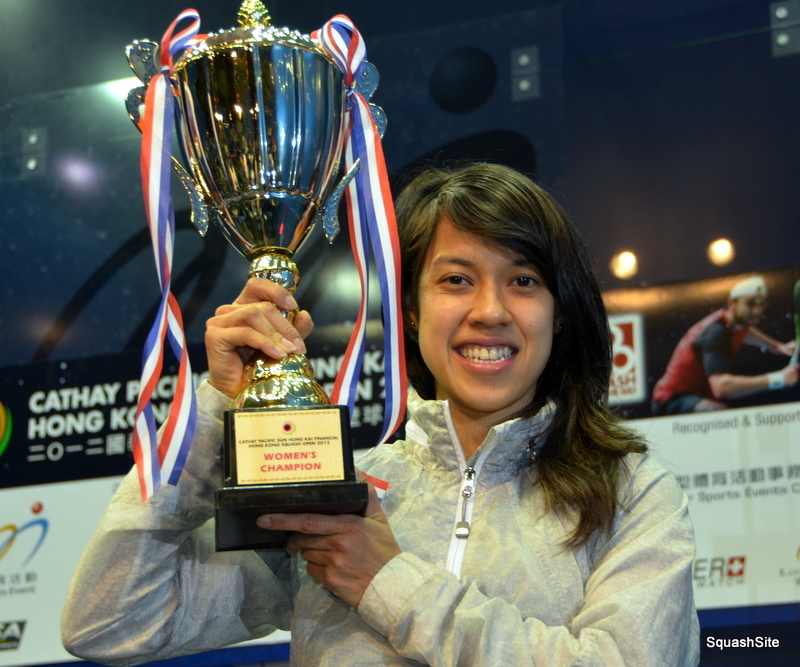 Nicol David completed her seventh back-to-back Hong Kong title after winning the Cathay Pacific Sun Hung Kai Financial Hong Kong Squash Open. By contrast to David’s comparatively untroubled progress to the final, her opponent 23-year-old Camille Serme had seen some serious court-time this week, amassing over three hours of play thanks to lengthy wins in earlier rounds, but the eleventh seed showed little sign of fatigue or nerves as the pair launched in to a close first game battle on the Hong Kong harbour-front. David, fast and agile as ever, maintained constant pressure on Serme, whose short volleys and slow lobs were combining to good effect against the world champion. Consistency was occasionally lacking from the Frenchwoman however, and the error-count weighed against the younger player as she lost the first game. Heightened pressure saw a similar outcome in the second, with Serme hitting a number of tins in her attempts to find the winning shot against David’s impeccable retrieving. The Malaysian seemed comfortable though, and was happy to scurry around the court, getting the ball back and waiting for the loose shot. She took the second game by a wider margin, but Serme was not going down easily. The underdog hit back in the third, varying the pace to trouble David, and some well aimed front court efforts broke the mid-game deadlock and allowed the French national champion a way back into the contest, which she duly took. David returned to court refocused, and weathered the Serme storm throughout the early stages of the fourth game. The Texas Open champion had shown fleeting signs of fatigue earlier in the tie, and David was happy to extend the rallies and wait for Serme to make the tired errors, which did come. Always threatening throughout the game, David was able to see off the match in four games, an exciting climax to a mostly rain-free finals day at the Hong Kong harbour-side, in front of an on-looking International Olympic Committee. David was buoyant on her seventh title, and 40th undefeated match in Hong Kong. 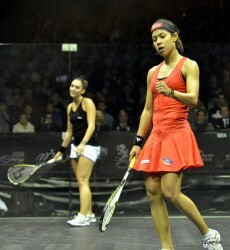 She said afterwards, ““I think I played a good game today, but Camille got more and more confident with her shots. 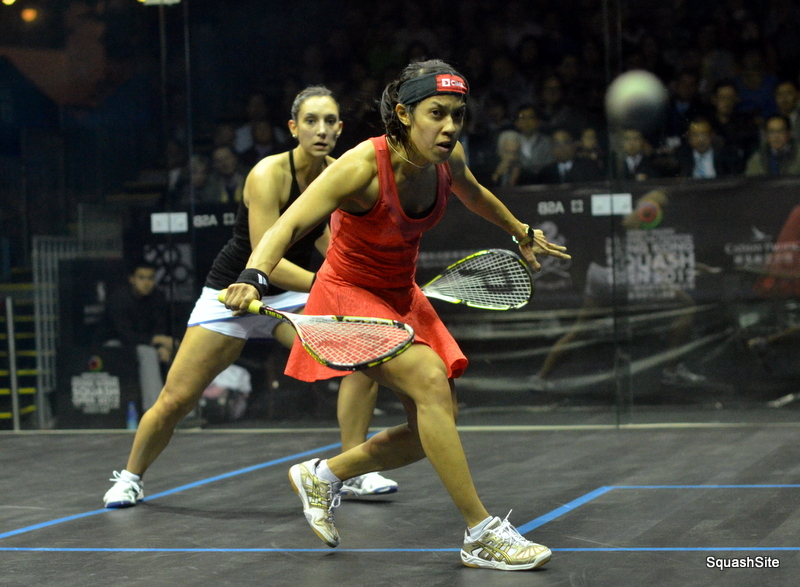 I had to play tighter in the fourth, making the rallies as tough as I could. Both players have two weeks to recover ahead of the WSA Cayman Islands World Open, which runs from the 14-21st December, featuring all of the WSA’s biggest names.